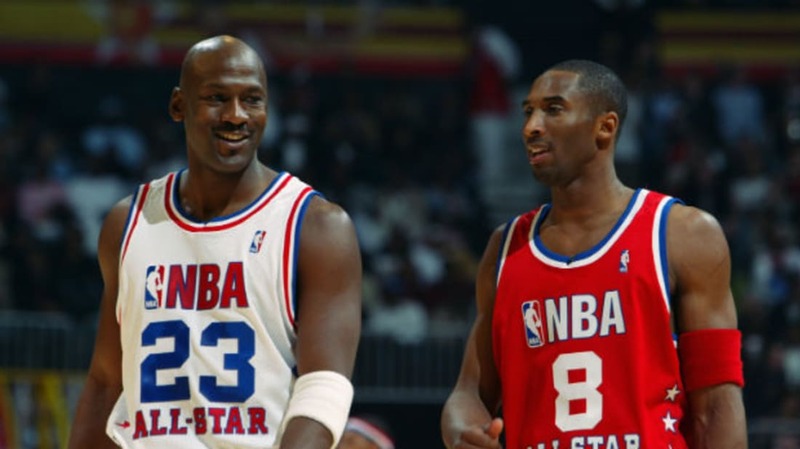 These NBA trades never happened, but they came close. In an alternate dimension, there's a Bulls team with Kobe, T-Mac plays with Iverson in both their primes, and Hakeem takes his talents to South Beach. According to Sam Smith's The Jordan Rules, Clippers owner Donald Sterling called Jerry Reinsdorf, his counterpart in Chicago, during the 1987-'88 season to offer any five Clippers players or draft picks for Michael Jordan. The Bulls were about to be knocked out of the playoffs yet again but, according to Smith, Reinsdorf didn't consider the deal too seriously. Still, the Clippers could offer two first round draft picks, and Bulls General Manager Jerry Krause apparently had his eye on some prospects and the team took time to consider the options anyway. Obviously, Reinsdorf ended up telling Sterling, "Thanks, but no thanks." The Bulls went on to become The Bulls, while the Clippers remained the Clippers. 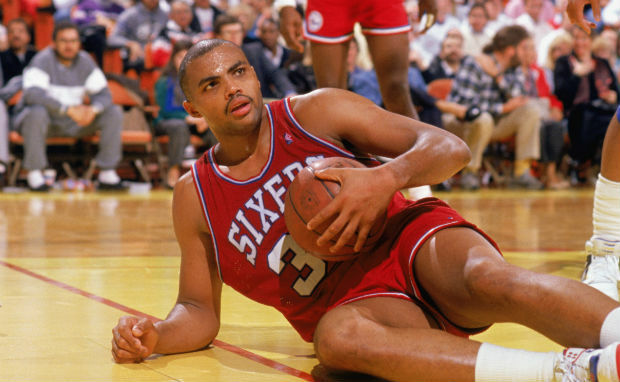 During the '91-'92 season, Charles Barkley was (unsurprisingly) outspoken about his displeasure with Philadelphia 76ers management and their failure to put pieces around him. "Wherever I play, I'll play well," he said, "I'd rather stay in Philadelphia, but that is not my decision." Rumors swirled of a swap that would send Barkley to the Lakers for James Worthy and Elden Campbell. That trade never happened, and instead, Barkley was sent to the Suns for Jeff Hornacek, Tim Perry, and Andrew Lang after the 76ers failed to make the playoffs. In 2007, Kobe Bryant had come off his most frustrating season ever (it would eventually be topped). Sick of playing with Kwame Brown and Smush Parker, Kobe made his feelings known. Enter the Chicago Bulls, who put together an enticing package for the middling club. People forget how close this move was to becoming reality. It eventually came down to Kobe's refusal to go to Chicago if they traded Deng—he saw the young forward as an ideal teammate and didn't want to risk playing for a squad that had given away all their talent. It would have been a Gift of the Magi situation—only with 100% more Smush Parker. 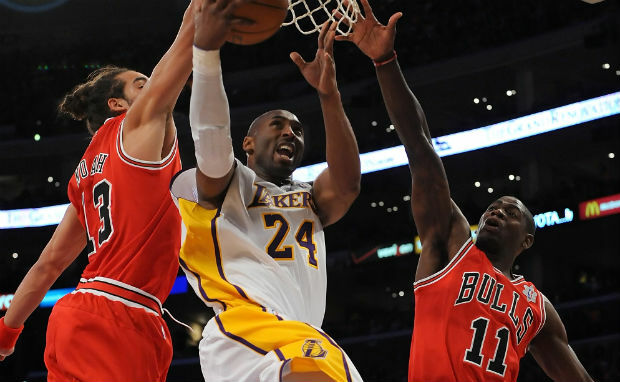 Instead, the Lakers managed to trade for Pau Gasol, and Kobe and Pau went on to play in three consecutive finals, winning two. 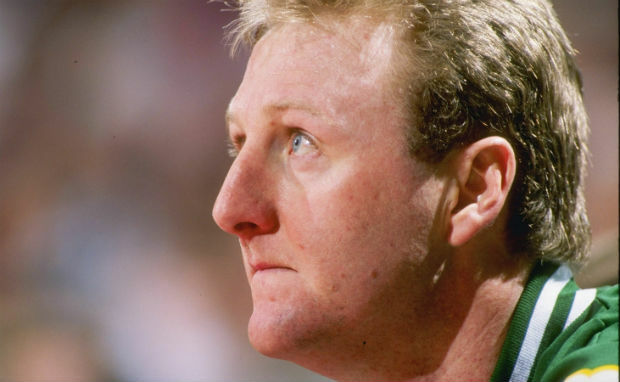 According to reports, in 1988, the Pacers tried to bring Larry Bird home by offering the Celtics Chuck Person and the 2nd pick in the upcoming draft. Even though Bird had missed most of the season with multiple injuries and surgeries, Boston rejected the offer. The Pacers kept the pick and used it to draft Rik Smits. Bird eventually did return to Indiana, as both a coach and GM. An NBA source confirmed last night that the Sixers placed another call yesterday to the Toronto Raptors to see if they were willing to part with swingman Tracy McGrady and a No. 1 pick for Hughes. The Hughes in question would be Larry Hughes, pride of the St. Louis Billikens. 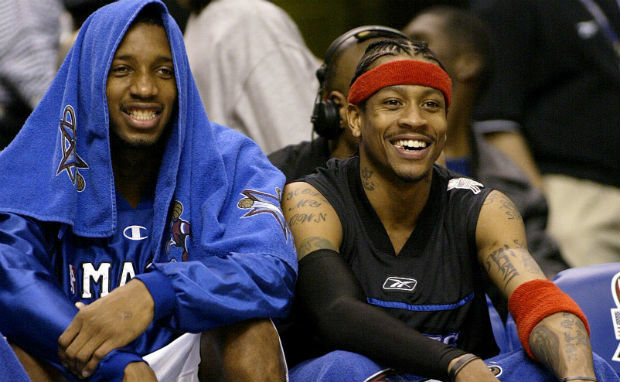 At the time, Tracy McGrady wasn't yet the offensive savant he'd become, but the 76ers still showed a little too much chutzpah in trying to find a backcourt partner for Allen Iverson. In the offseason, McGrady left the Raptors as a free agent and joined the Orlando Magic. The following year would see the 76ers make it to the finals on the back of Allen Iverson's Herculean MVP season. They managed to do it without Larry Hughes, who went to Golden State. 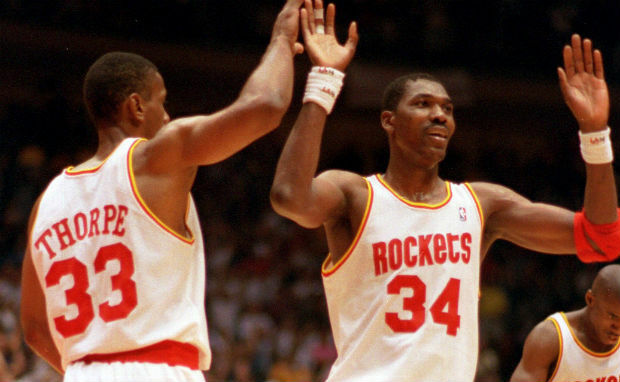 Flashback to 1992: Hakeem Olajuwon wasn't happy with Rockets management. His agent went to the press, saying, "If you have a disgruntled and unhappy superstar and there are irreconcilable differences, then a trade nearly always happens at some point." The Heat had already turned down a deal offered by the Rockets asking for Rony Seikaly, Glen Rice, and Steve Smith in return—the Heat refused to part ways with Rice and Smith. Houston came back, offering Hakeem and Sleepy Floyd for Seikaly, Grant Long and the rights to draft pick Harold Miner. That trade also fell apart. Flash-forward to 1995: The Rockets win two NBA Championships in a row and Olajuwon seizes the crown of best center of his generation and best foreign-born player ever. What a difference a couple of years (and Michael Jordan's retirement) makes. In 1993, the sun was setting on the Bad Boy Pistons, and Detroit was looking to make some moves. They had apparently locked up a deal that would send Dennis Rodman to the Phoenix Suns in exchange for Richard Dumas and other players to be named later. The Pistons abruptly pulled the plug on the deal when they learned that Dumas was attending a program for substance abuse—an issue that forced Dumas to miss the '91 season. 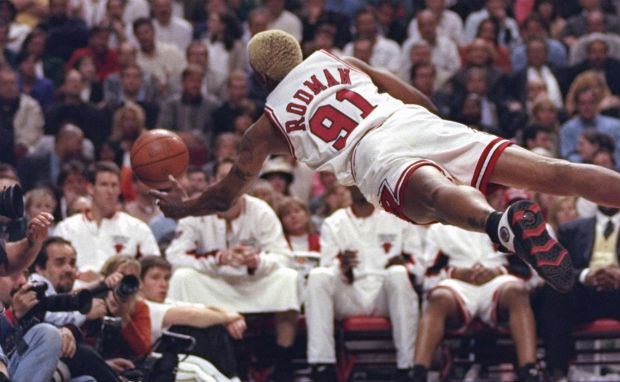 Rodman was dealt to the Spurs and eventually headed to Chicago to be an integral (and colorful) part of the Bulls second three-peat. Dumas, meanwhile, returned to the NBA for two more seasons before playing overseas. According to Seattle Coach George Karl, the Bulls came to the Sonics in 1994 and offered to trade Scottie Pippen for Shawn Kemp. Seattle turned the deal down, Karl said, citing Kemp's bright future (he is four years younger than Scottie). 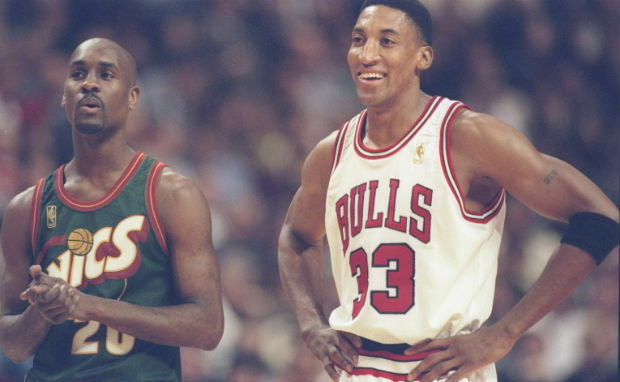 According to Bulls GM Jerry Krause, "We did not seek a trade for Scottie Pippen." Hmm. Perhaps he was just saying that so as not to upset his team's best player who had just led them to a 55-win season without the Birmingham Barons' Michael Jordan? Or maybe he was—no, wait, that's definitely what it was. 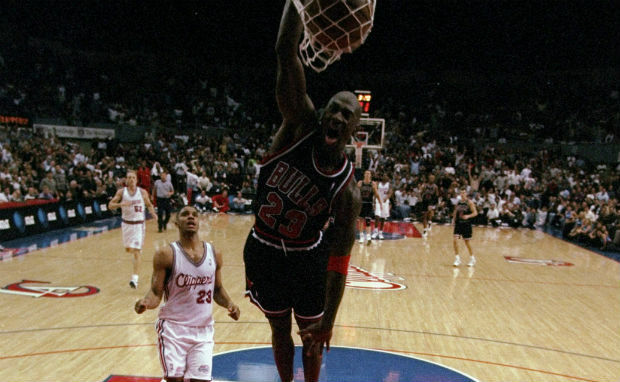 Pippen didn't go anywhere, Jordan came back, and the Bulls did their three-in-a-row thing one more time. Shawn Kemp stayed in Seattle and had some pretty sweet dunks. 9. 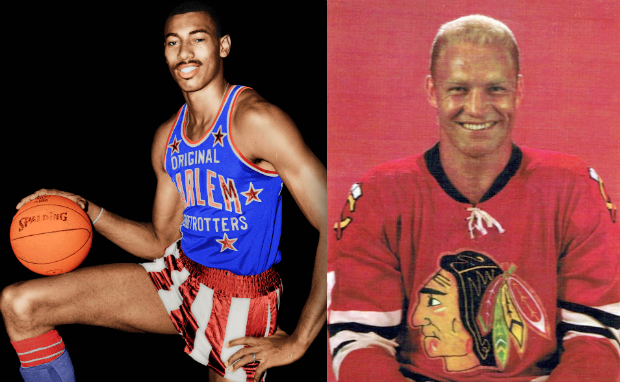 Wilt Chamberlain to the Bulls for...Bobby Hull? This cross-sport trade seems like the kind of thing two barflies would come up with after seven too many boilermakers, but apparently it was a real-life possibility. In the 1970s, both the NBA and NHL were faced with competition from two upstarts: the ABA and WHA. As the '71-'72 season was wrapping up, Bobby Hull made it clear he was displeased with his low Blackhawks salary and began speaking with the Winnipeg Jets of the WHA. According to Bob Verdi, the Blackhawks' notoriously cheap owner Arthur Wirtz wasn't perturbed by Hull's behavior. However, L.A. Kings and Lakers owner Jack Kent Cooke was. Cooke (a Canadian) feared the WHA would unseat the NHL if they were able to lure a superstar like Hull, so he allegedly offered to give the Lakers' Wilt Chamberlain (who had just come off a monster season) to the Chicago Bulls. Wirtz was securing a majority stake in the Bulls and he also owned Chicago Stadium, which the struggling basketball team was failing to fill. According to Verdi, "Cooke never denied the proposal and Wirtz never acknowledged it," but alas, it never materialized. Hull went to Winnipeg after the season and Wilt signed with the ABA's San Diego Conquistadors as a player-coach. Due to a contract dispute, Chamberlain wasn't allowed to play for the Conquistadors, and he retired before he ever suited up. Want to piss off a Lakers fan? Just mention this 2011 trade that was a done deal until, well, it wasn't. Three teams agreed to a trade that would've sent Chris Paul to the Lakers, Pau Gasol to the Rockets, and Kevin Martin, Luis Scola, Lamar Odom, and Goran Dragic to New Orleans. 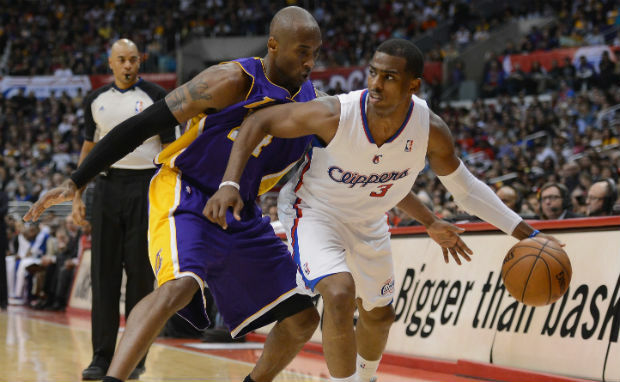 The deal was in place and people were already wondering what the Chris Paul era was going to be like in L.A. when NBA commissioner David Stern interjected. After listening to the protestations of uninvolved team owners, Stern cancelled the trade for "basketball reasons." We still got to see L.A.'s Paul era, just not for the team in purple and gold. The Clippers soon landed Paul for a group of players while the Lakers revamped their squad to include Dwight Howard and Steve Nash. How'd that end up? If that pissed-off Lakers fan is still talking to you, ask them. Thanks to Brett Savage for research help. All photos courtesy Getty Images, unless noted otherwise.